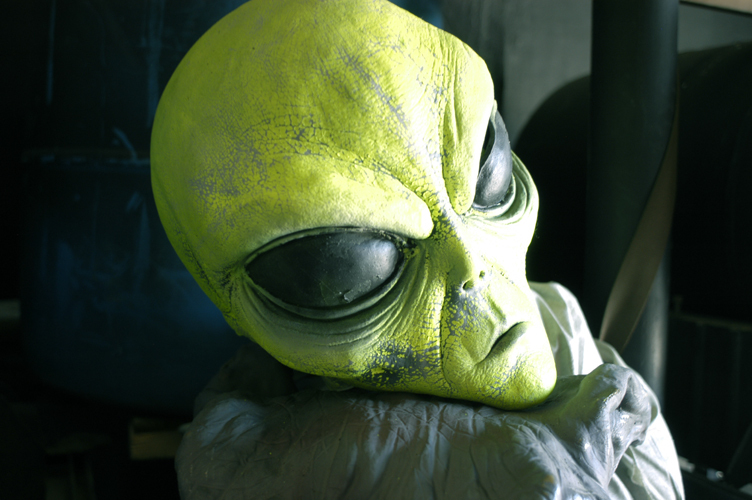 Roswell, New Mexico, is where it all began. UFOs, little green men, Mulder, Scully, the whole shebang. Most likely, it was also the beginning of conspiracy theories, the wide-spread public belief in government cover-ups and that modern day malaise of never believing anything we’re told, especially if it’s by authority figures. I’d been on a road trip through the south-western United States, driving from Las Vegas (the quaint and historic New Mexico town rather than its better-known neon-and-nihilism namesake) and had stopped off in Fort Sumner to visit the grave of Billy The Kid. The next stage of the trip was on to Roswell before heading to El Paso, Texas, to spend Thanksgiving. It was late November and the weather was clear although there was little warmth from the sun and the nights were freezing cold. I’d passed by the site north of town where the “reputed” crash of a UFO and the recovery of the bodies of its alien inhabitants by the US military had occurred back in 1947. I’d paid little attention to the black helicopters that seemed to track my progress or the bulky dark SUVs that were always in my rear vision mirror. I reached the city limits of Roswell and that’s when things really started getting weird. 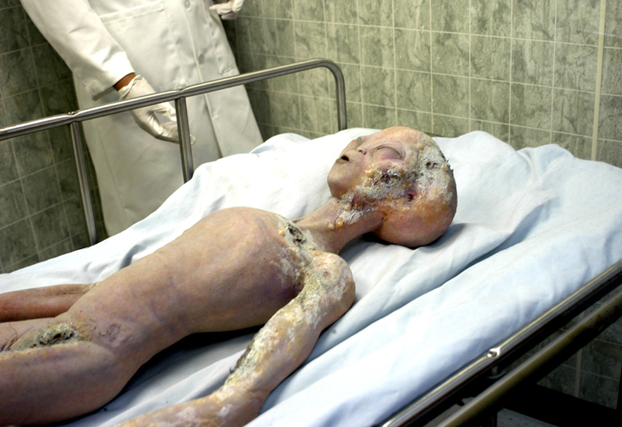 If there had never been an “alleged” UFO crash, there would be no tourism industry to speak of but Roswell embraces visitors of all kinds, even little green ones. There are UFOs and aliens everywhere you turn in this town. The Walmart has them, the many fast food franchises, including Arby’s, Denny’s KFC and Chilli’s have them in profusion. There are galaxies of gift shops and nebula of T-shirts, shot glasses, ashtrays, beer coasters and snow globes. Everything you need to fit out an intergalactic space-age bachelor pad or the rumpus room of the Millennium Falcon. The official City of Roswell website buzzes with spaceships and alien life forms, only a few of which are elected officials. Each July, there’s a UFO Festival that includes an Alien Battle Of The Bands and an Alien Wine Festival, although it should be noted that consuming alcohol while travelling at warp speed is not recommended. Long-suppressed reports of the 1947 UFO crash state that numerous empty beer bottles along with salsa and Doritos were found in the spaceship. Ground zero for tourists to Roswell is the International UFO Museum and Research Centre on Main Street. 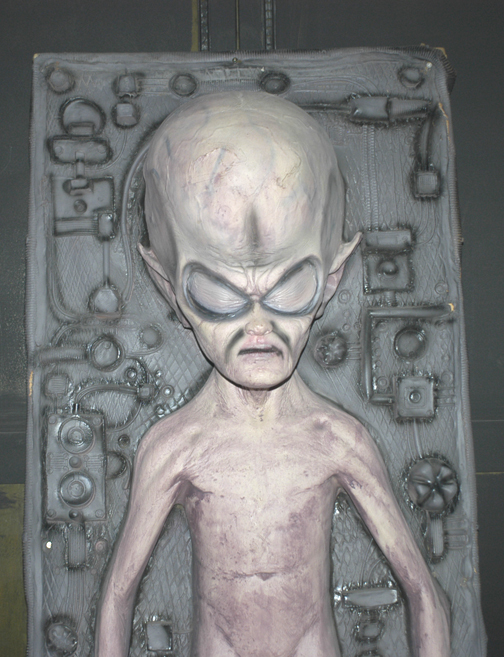 Dioramas and displays carefully explain the area’s history and little green men abound. Strangely, many look exactly as they do on the Sci-Fi Channel. In the gift store, I uncovered another disturbing link between Roswell and world history. The slim volume written by Donald R. Burleson is titled UFOs and the Murder of Marilyn Monroe (Black Mesa Press, 2003). Trying to be as inconspicuous as possible, I made the purchase and brought it back to the Hampton Inn and Suites. On check-in, I’d asked the receptionist whether she’s seen anything other-worldly lately. It seemed to strike a nerve. She looked evasive for a moment, as if she knew everything she said was being recorded and beamed straight back to Area 51. Then she nodded and grimaced wearily. “Just my boyfriend,” she muttered in a low voice. I read Burleson’s book from cover to cover that night. His central theory was that Marilyn Monroe had been briefed by John F. Kennedy about Roswell, crashed UFOs, alien autopsies and the subsequent political cover-up. She was murdered days before holding a press conference during which she intended telling the world of her discoveries. Interestingly, Burleson had also published studies of H.P. Lovecraft which opens the possibility that Marilyn Monroe was killed not by the Mafia or the CIA but by Cthulhu itself. I fell into a deep and undisturbed sleep while a harsh wind whipped the grassy plains outside. In the morning, I found I had no recollection of the previous few hours. I was feeling spooked and knew I had to get out of town. I barely had time for the free breakfast buffet although it was fair to say the blueberry muffins were out of this world. The black helicopters followed me all the way to the city limits, then turned west. The spy satellites, I’m sure, are tracking me still. Liked this one very much.